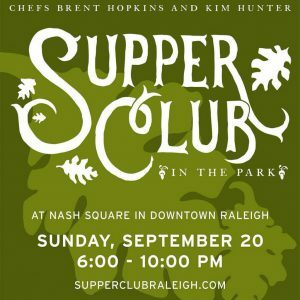 Chefs Brent Hopkins and Kim Hunter team up for the first Supper Club in the Park at Nash Square in Downtown Raleigh. 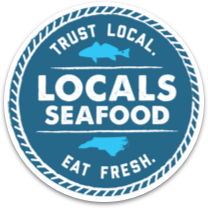 Join us for an intimate dinner celebrating North Carolina’s late summer harvest, featuring ingredients from Raleigh City Farm, Locals Seafood, and wine pairings provided by Raleigh Wine Shop. A portion of the proceeds will benefit Raleigh City Farm.